What’s your ideal evening spent in the city? It might not be totally frigid outside, but by night most of us want to hunker down and get cozy. Whether it’s at home or at the local pub, we totally feel you. We put together a list of some spots around the city that will warm your heart and soul. Tall cans of Longslice at home. There’s nothing better than sipping on a cold brew while watching a good movie. Invite some close friends over to banter back and forth with, binge watch episodes of the latest show and chill. Summer isn’t too far away now. 2. Wallflower in Dundas West. 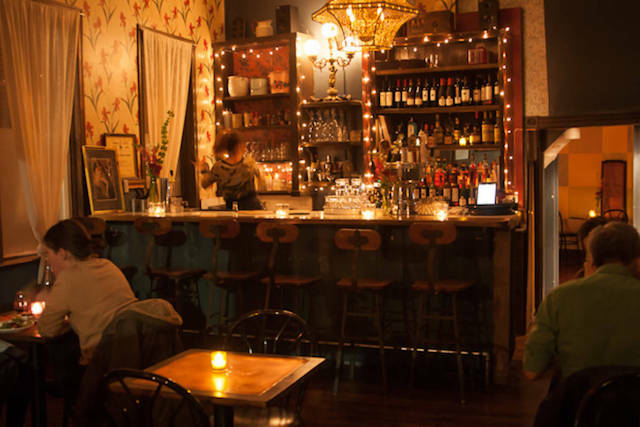 Nothing whispers cozy more than an eclectic vibe in the middle of Brockton Village. 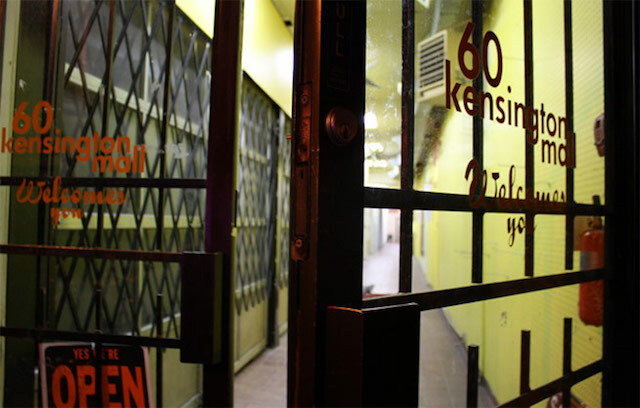 This precious flower’s main room faces Dundas West, but it has rooms that reach far back. It feels like walking into your Cool Aunt’s house and sitting down to tell or hear stories of adventure. 3. Famous Last Words in The Junction. The latest literary-themed bar in the city. And we mean literally. Everything in this bar is inspired by books from the fully-stocked shelves to the menu. Even the cocktails are named after book titles. The epitome of a place to feel warm and bright. 4. C’est What in St Lawrence. This has been an institution in the city for a few decades close and is close St Lawrence Market. The space is in the basement, but you would never feel claustrophobic. All the walls are stone brick, there are leather chairs by the fireplace and a selection of craft beer that will knock your socks off. It’s always a pleasure to go there, no matter what the season. 5. Big Crow in The Annex. This BBQ joint is part of Anthony Rose’s growing row of restaurants on the Dupont strip. Others include Rose & Sons, Fat Pasha, Schmaltz and Bar Begonia. What makes this place stand out is that feeling of country living right in the city. Rows of outdoor benches and tables are kept warm with above-head heaters. The wood-fire oven, from which they make most of their food, makes you feel like you are next to a campfire. The perfect spot for rural hearts. 6. Cold Tea in Kensington Market. 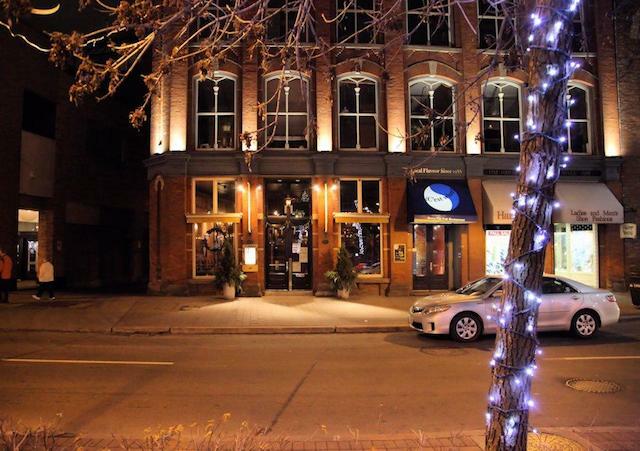 Tucked away in the market is this hidden gem with a patio that is open year round. It might not be the coziest feeling to be outside, but you will be dry and kept warm with whatever beverage you have chosen. They often have parties with DJs on the weekend, so if you love to get down this is the spot. The best news is these bars have been around for a while and seem to be here to stay. No need to pressure yourself into getting out of the house right this minute. If you happen to be in any of these neighbourhoods, check the bars out!